Many custom tools are available for download as .DXF files from a supplier’s website. Select the tool library this tool will be stored in. 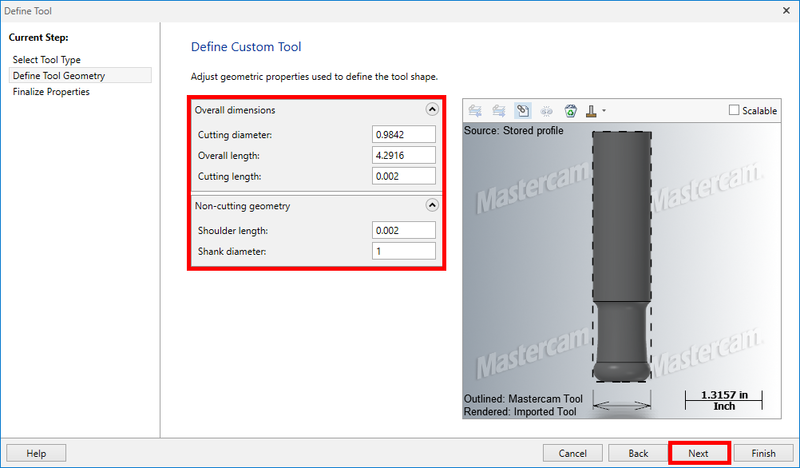 From the New Milling toolbox, select Custom Tool. Select the .DXF file of the desired custom tool. 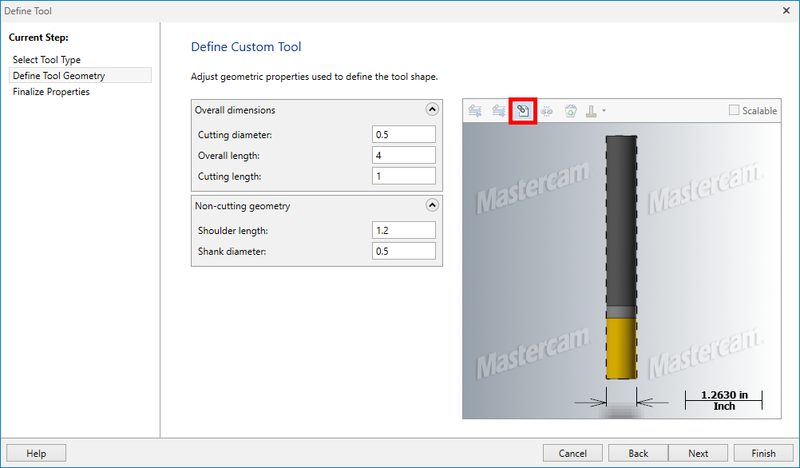 Make adjustments to the tool’s geometric parameters as needed. Then select Next. 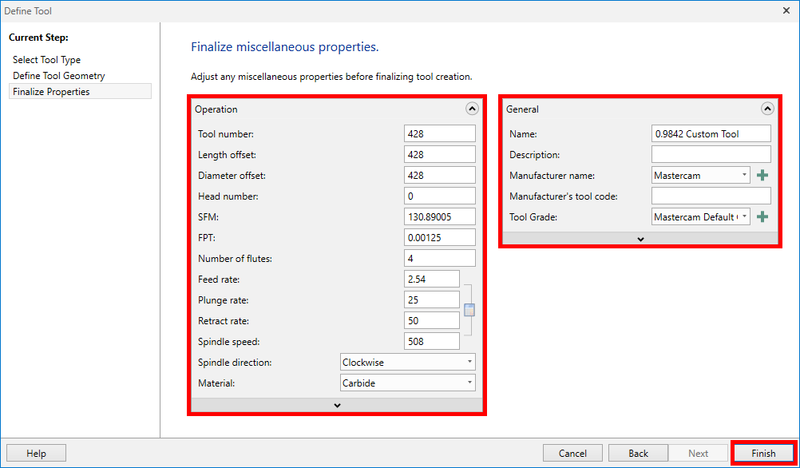 Make adjustments to the tool’s Operation / General parameters as needed. Then select Finish.